Regency at Summerlin will be a 55+ community in Las Vegas, Nevada. This exciting active adult community will offer new construction homes in a tight-knit neighborhood with modern residences and desirable amenities. Regency at Summerlin will also provide popular clubs and events thanks to an on-site lifestyle director, who will coordinate activities to make sure homeowners will stay active socially. Current plans call for a well-equipped, 16,669 square-foot clubhouse, which will be the centerpiece of Regency at Summerlin. There will be a state-of-the-art fitness center and an indoor lap pool for staying in shape. A multi-purpose room will also be utilized for community parties and gatherings. 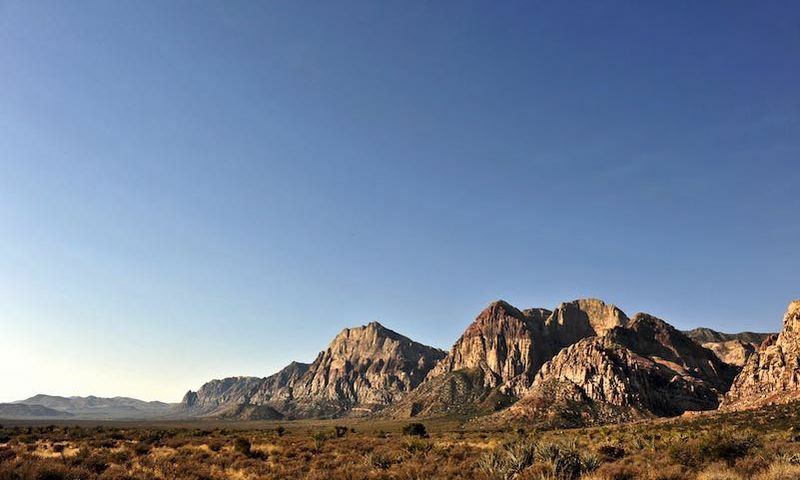 Outdoors, homeowners will have plenty of options for enjoying the year-round, outdoor culture of Southern Nevada. There will be an outdoor pool and patio for relaxing, while bocce ball, pickleball, and tennis courts will allow you to have some friendly competition with your new neighbors. Regency at Summerlin will provide nine floor plans from which to choose. These single-family homes will range in size from 1,600 to 2,400 square feet and will feature single-story living with modern features that active adult homebuyers have come to expect. An on-site lifestyle director will be planning several events for residents to get to know each other like Friday night cocktail parties, cards and billiards tournaments, dinner clubs, philanthropic events, and golf outings. Regency at Summerlin will be located in Las Vegas, Nevada in the master-planned Summerlin community. It will be approximately eleven miles from the Las Vegas Strip and McCarran International Airport, both of which will be accessible via public transportation just outside of the community. The Medical Pavilion at Southern Palms is just a few minutes away. Golfers will love that the Rhodes Ranch Golf Club and the Siena Golf Club are a short drive away. Request more information on the progress of Regency at Summerlin! There are plenty of activities available in Regency at Summerlin. Here is a sample of some of the clubs, activities and classes offered here. Although final floor plans have not been released yet, Regency at Summerlin is sure to provide excellent low-maintenance, ranch-style homes that will range in size from 1,600 to 2,400 square feet. Please Note: Floor plans are not available at this time. 55places.com is not affiliated with the developer(s) or homeowners association of Regency at Summerlin. The information you submit is distributed to a 55places.com Partner Agent, who is a licensed real estate agent. The information regarding Regency at Summerlin has not been verified or approved by the developer or homeowners association. Please verify all information prior to purchasing. 55places.com is not responsible for any errors regarding the information displayed on this website.